Create an about page for your website/product. While this page isn't read as often as your landing page, your ideal customers who really need your solution will want to learn more about your service. 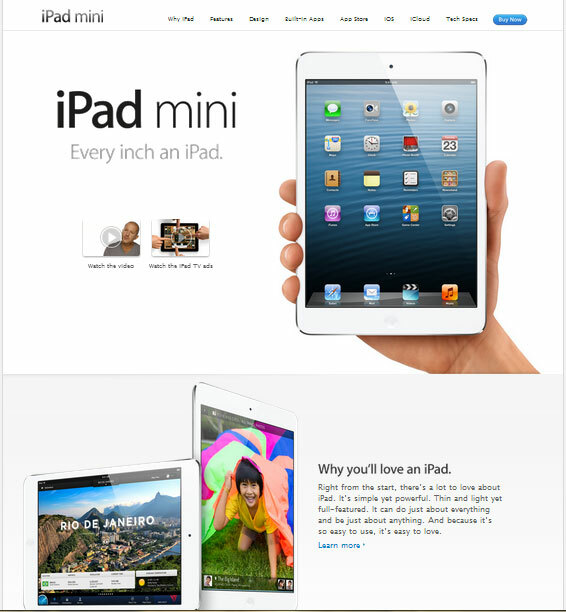 The page is an about page because this page actually isn't the main landing page for the iPad mini, but an inner page that better help introducing the iPad mini. A good about page or any landing page has a lot of images. A strong headline that resonates with customers' motivations. Subheadlines then expand on the headlines to strenghten the claim.